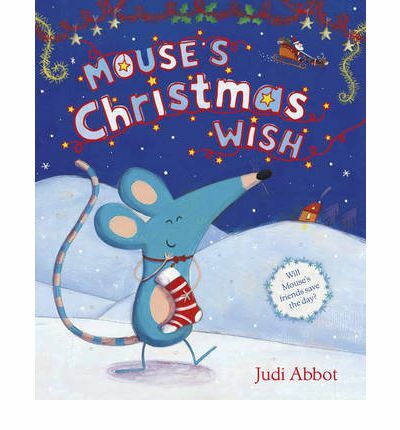 Mouse wishes to spend christmas with his friends, so when the invitation arrives, he is very excited. He has so much to do before he can go though and somehow things keep going wrong. While his friends travel from all over and arrive at Rabbit’s Mouse experiences one disaster after another. Will he ever get his christmas wish? This is a beautiful little story about christmas and friendship. Mouse is an adorable little character whom you can’t help but like and feel sorry for. The illustrations are simple, bold and appealing. For a nice christmas story with the focus away from presents and santa this is a choice well worth looking at.